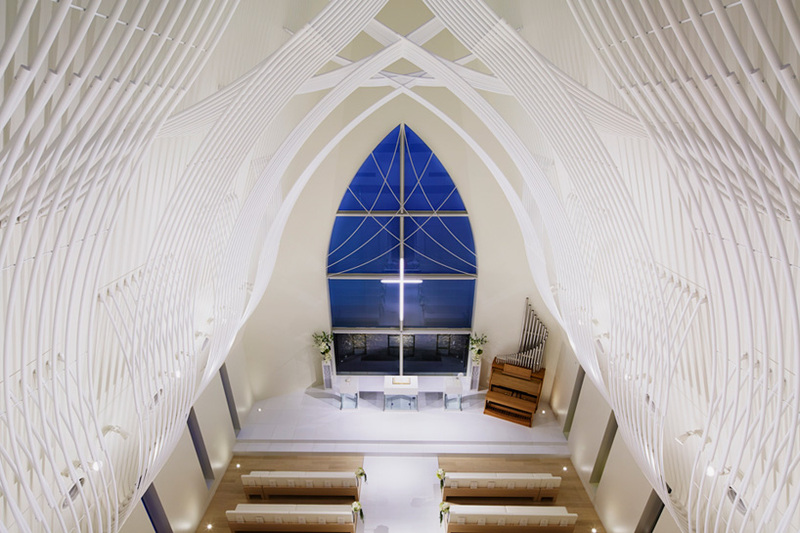 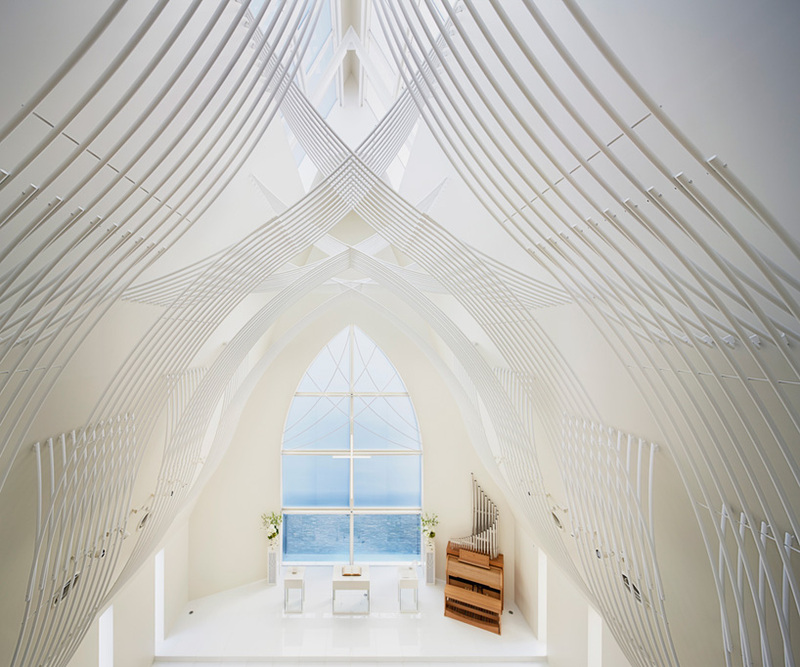 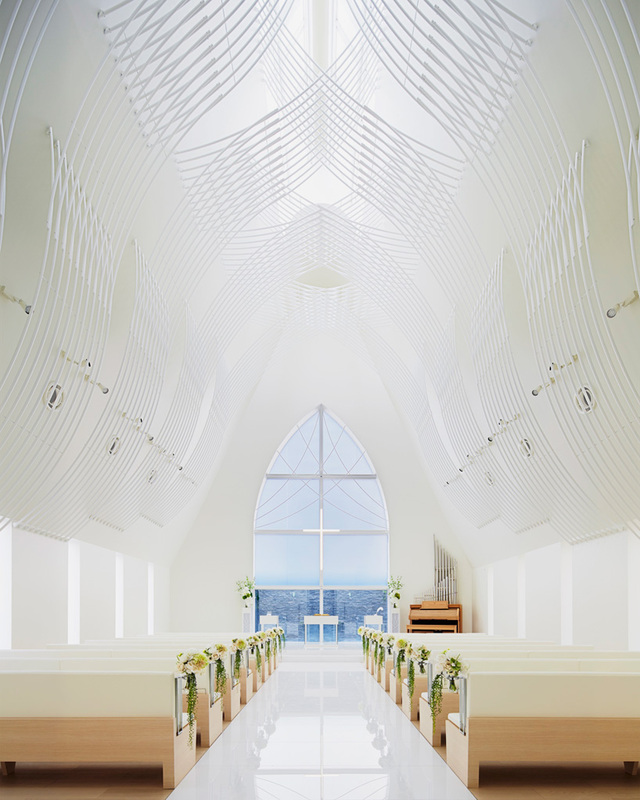 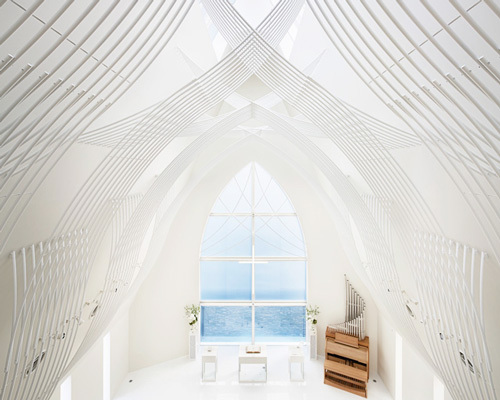 sited on the banks of niigata’s shinano river, this wedding chapel completed by japanese architects kasahara design work is topped with an intricate white veil. 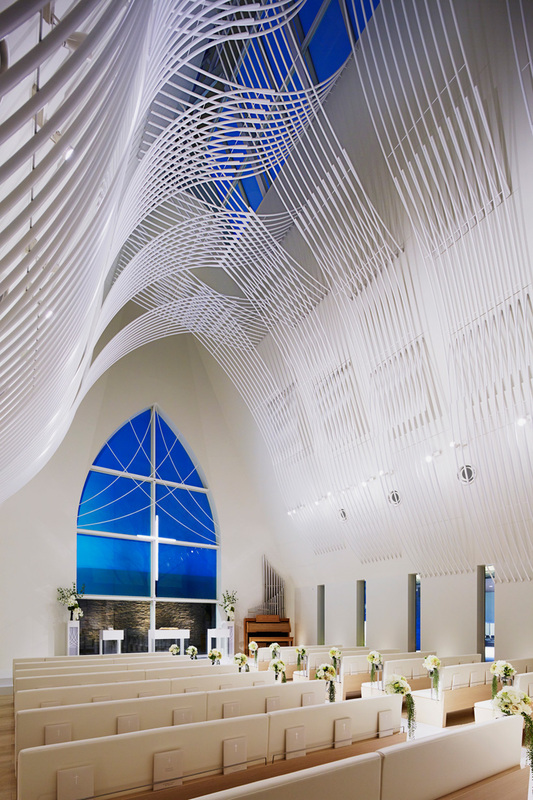 serving as a visual metaphor for marriage, a series of pipes organically climb the chapel’s interior before interweaving and uniting at their eventual summit. 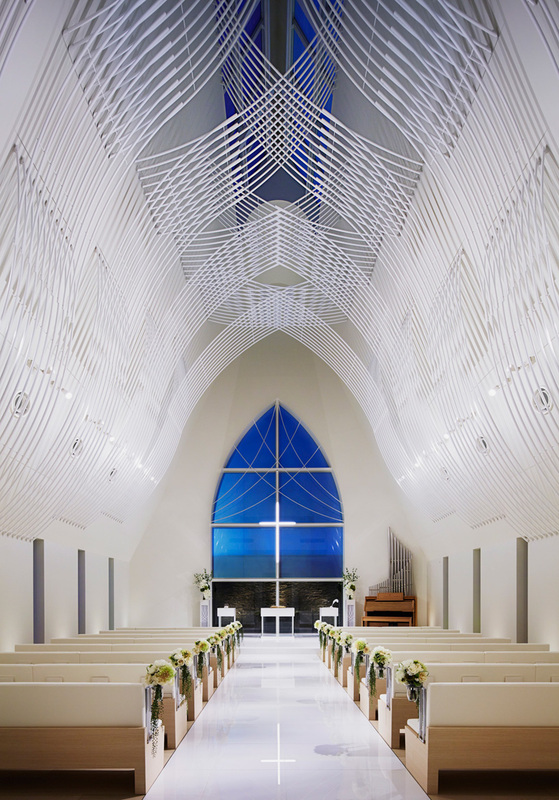 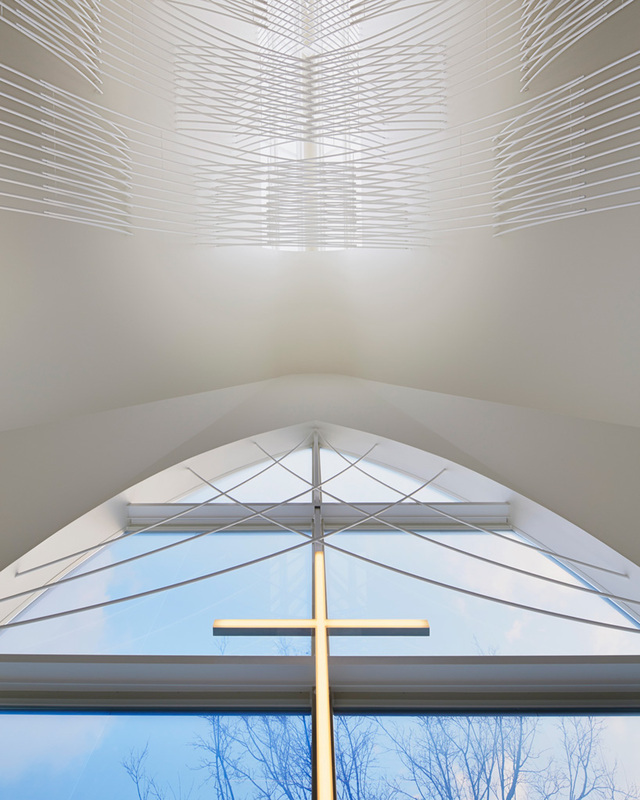 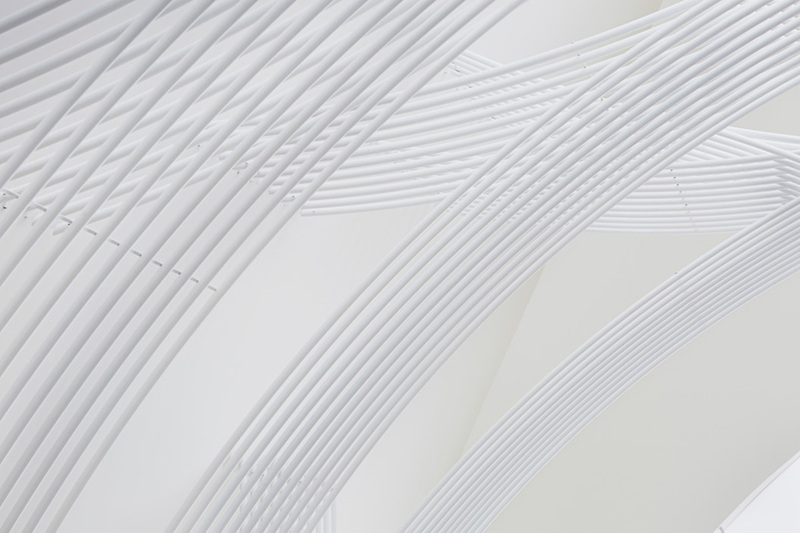 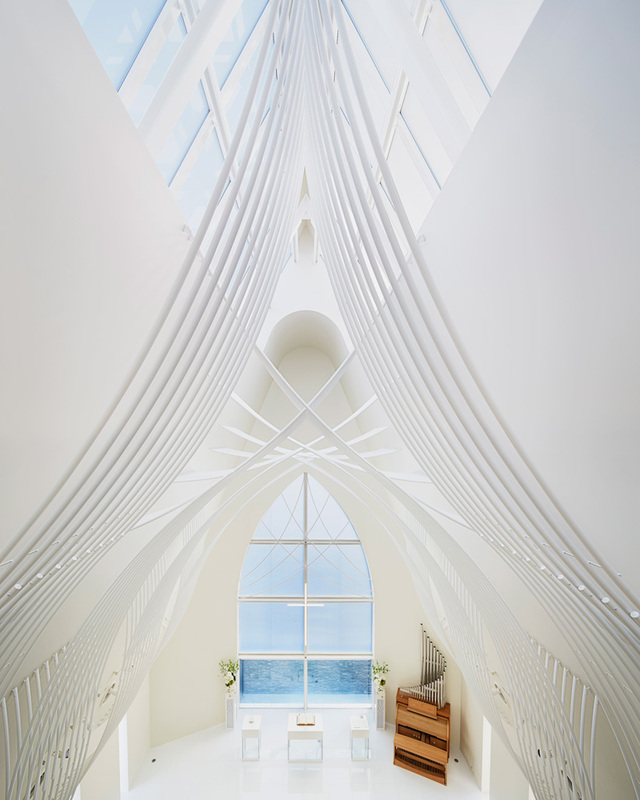 ensuring a bright and almost ethereal atmosphere, the scheme’s brilliant white surfaces reflect the pure daylight entering from above, while an arched aperture behind the church’s altar frames a view of the building’s natural surroundings. 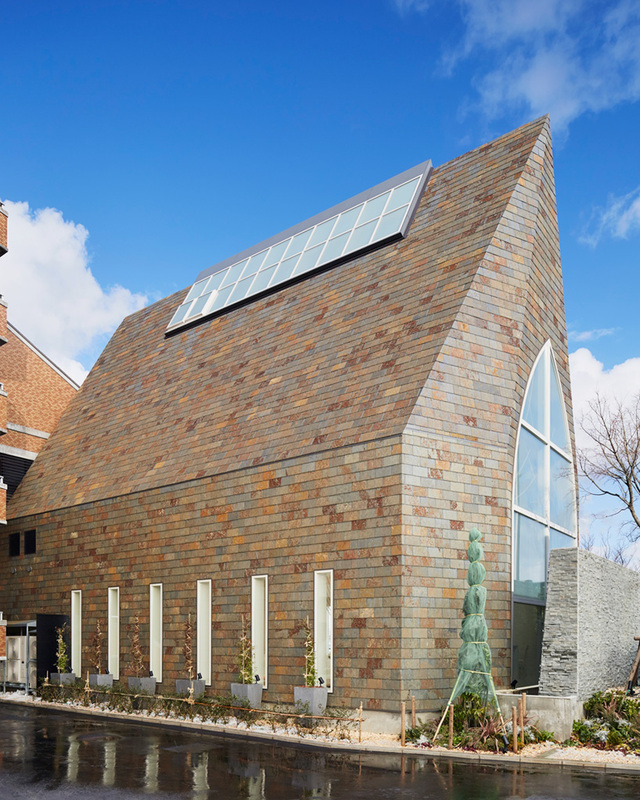 externally, the narrow building is clad with a natural slate that allows the chapel to sit comfortably within its landscape. 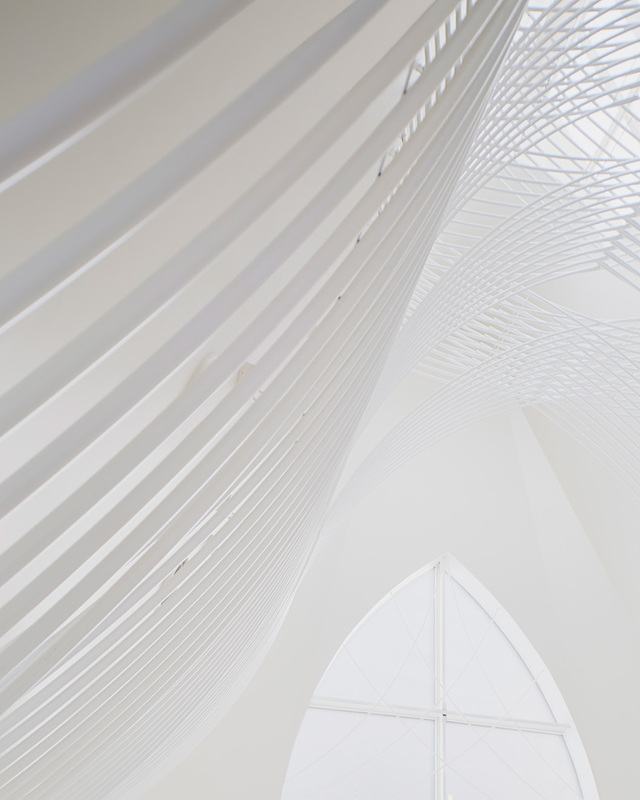 How do you clean those pipes after they get dusty ?